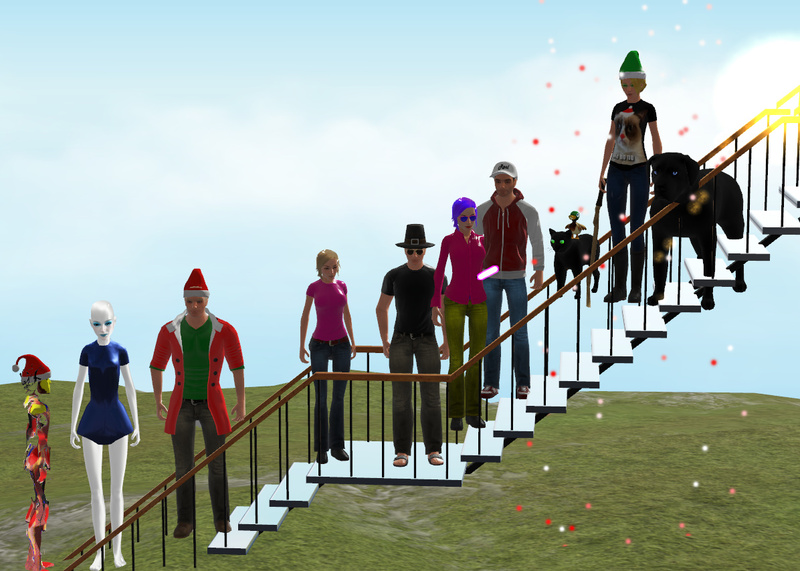 From left to right, we are: Jicer, Szabo, Ryan, some random anonymous user who keeps hitting on people, Thijs, another random anonymous user who keeps hitting on people, Real, and Mochi at the very top. Szabo is wearing the Star Trek tunic I designed and created! I'm so proud. She has a great looking alien avatar. Oh, and Thijs is the one who took this photo (thank you Thijs). 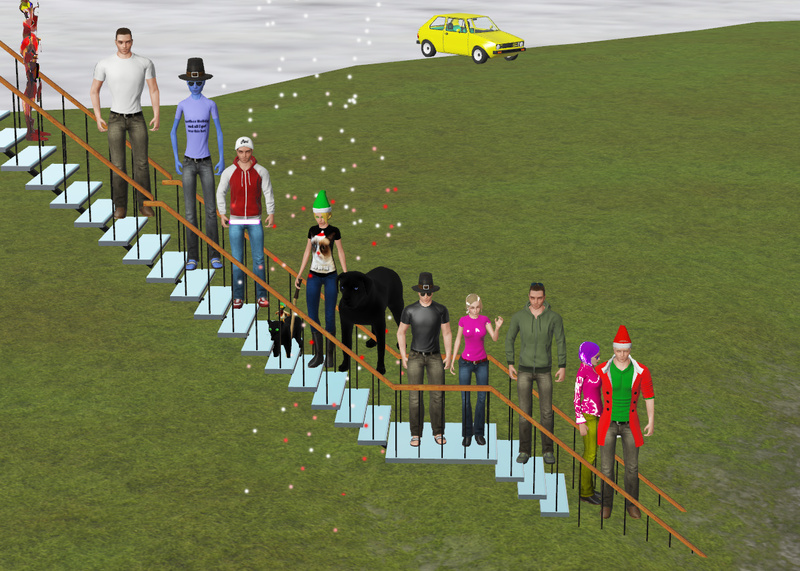 From left to right, this is Jicer, Jake, Phate, Real, Mochi and her dogs, Thijs, random anonymous avatar, Sam, another random anonymous avatar, and Ryan.